Denis Suarez will soon be unveiled as an Arsenal player and it’s reported that he has gone to London to finalize his transfer from Barcelona. Arsenal have finished negotiations with Barcelona on the signing of Denis Suarez and the midfielder will be joining the gunners on a loan deal with an option to permanently buy him in the Summer transfer window. The announcement will be made today as its now reported that Denis Suarez is on his way to London to sign the contract and photo shooting. 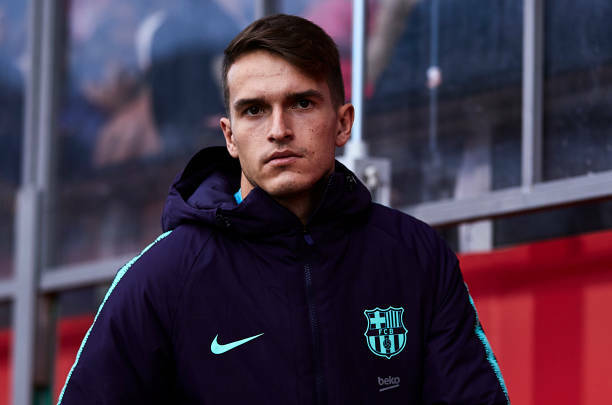 Denis Suarez joined Barcelona some time back but he has however found chances limited at the Spanish club but he will be hoping to redeem himself in the Premier League as he has joined Arsenal for the rest of the season. Denis Suarez’s girlfriend Sandra Montoto Domínguez has also some how confirmed that his boyfriend will be joining the gunners on social media. Mundo Deportivo claims that Denis Suarez has gone to London to finalize the deal and that he will officially be unveiled as an Arsenal player in the coming hours after the photo shoot. Unai Emery was yesterday asked about Denis Suarez and he said that he was going to deploy him as a winger since that’s the position which he used to play in under him at Sevilla in the past. Denis Suarez will definitely be a great signing for the gunners because he could be the answer for their winger problems since he is very skillful and would suit Arsenal’s playing style of passing the ball until you find a breakthrough in the opponents box.